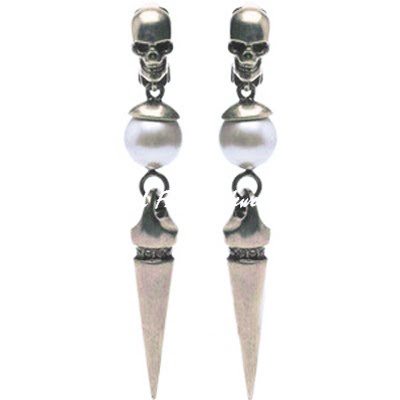 These Alexander McQueen pearl skull drop earrings retailed for $224 at Saks but are no longer available. You can view the gold option HERE. Sarah Aghili has done it again with a great look 4 less of these earrings, in silver or gold, retailing for $6.50. Click HERE to view or purchase. Use code Look4Less for 10% off!